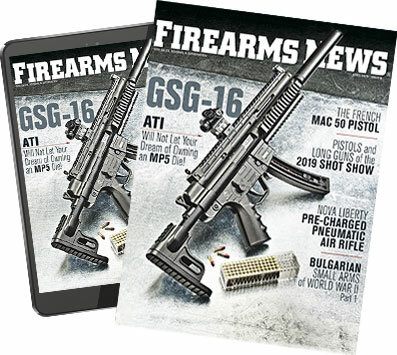 There probably was no better time for SIG to offer the Spartan pistol, which celebrates the Greek last stand against the Persians at Thermopylae. Almost 2,500 years ago, my ancestors, in August or September 480 B.C., fought the Battle of Thermopylae between an alliance of Greek city-states, led by King Leonidas of Sparta, and the Persian Empire of Xerxes I over the course of three days, during the second Persian invasion of Greece. It occurred simultaneously with the naval battle at Artemisium at the narrow coastal pass of Thermopylae ("The Hot Gates"). The Persian invasion was a delayed response to the defeat of the first Persian invasion of Greece, which had been terminated by the Athenian victory at the Battle of Marathon in 490 B.C. In response, Xerxes had assembled a huge army and navy, and intended to conquer all of Greece. The Athenian general Themistocles had planned that the Greeks would block the advance of the Persian army at the pass of Thermopylae and at the same time block the Persian fleet at the Straits of Artemisium. A Greek force of approximately 7,000 men marched north to block the pass. The Persian army, considered by modern historians to have been of no more than 100,000 to 300,000 arrived at the pass in either late August or early September. The vastly outnumbered Greeks held off the Persians for seven days — including three of actual battle — before the rear guard was annihilated in history's most famous last stand. During two full days of battle, the tiny force led by Leonidas blocked the only road by which the huge Persian army could pass. However, after the second day of battle, a local resident named Ephialtes betrayed the Greeks by revealing a small goat's path that led behind the Greek lines. Leonidas, aware that his force was being outflanked, dismissed the bulk of the Greek army and remained to guard the rear with 300 Spartans, 700 Thespians, 400 Thebans and perhaps a few hundred others, almost all of whom were killed. Both ancient and modern historians have used the Battle of Thermopylae as the classic example of the power of a patriotic army defending native soil. The performance of the defenders at the pass at Thermopylae has also been used as an example of the advantages of training, equipment, and the correct tactical deployment of terrain as force multipliers and as a symbol of courage against overwhelming odds. More to the point, the battle of Thermopylae has very specifically become a symbol of the fight to defend America's Second Amendment. A Persian emissary was sent by Xerxes to negotiate with Leonidas. The Greeks were offered their freedom and the title "Friends of the Persian People," and in addition, they would be re-settled on land better than that they possessed. When these terms were flatly refused by Leonidas, the emissary asked him more forcefully to lay down his weapons. Leonidas' famous response was for the Persians to "Come and take them (Molon Labe)." An even more famous response came from his general, Dienekes. When Leonidas refused to back down, the emissary told him, "Our arrows will block out the sun." To this Dienekes replied, "So much the better, we shall fight in the shade." As the Persian emissary returned empty-handed, the final end became inevitable. Xerxes delayed for four days, waiting in vain for the Greeks to disperse, before sending his troops to attack them. These famous quotations appear on T-shirts, flags, emblems and placards, wherever patriots rally in defense of the Second Amendment. Simonides composed a well-known epigram, which was engraved as an epitaph on a commemorative stone place on top of the burial mound of the Spartans at Thermopylae. It is also on the hill on which the last of them died. The original stone has not survived, but in 1955, the epitaph was engraved on a new stone. The text by Herodotus is an elegiac couplet, commonly used by the ancient Greeks for epitaphs, one of the English renderings is given as follows, "Go tell the Spartans, thou who passest by, that here, obedient to their laws, we lie." It was well known in ancient Greece that all the Spartans who had been sent to Thermopylae — with the solitary exception of the hapless Aristodemus — were killed in the battle, and the epitaph exploits the conceit that there was nobody left to bring the news of their deeds back to Sparta. Greek epitaphs often appealed to the passing reader — always called "stranger" — for sympathy, but the epitaph for the dead Spartans took this convention much further than usual, asking the reader to make a personal journey to Sparta to break the news that the Spartan expeditionary force had been wiped out. The stranger is also asked to stress that the Spartans died "fulfilling their orders." All of this has now been immortalized on an exceptional Model 1911 pistol from SIG Sauer called The Spartan. As the expression "Molon Labe" appears prominently no less three times on the new SIG Sauer M1911 Spartan pistol, let's take a more detailed examination of this phrase. The first word, "molon," is the aorist active participle — masculine, nominative, singular — of the Greek verb "to come," meaning in this instance "having come." The word "labe" is the aorist active imperative — second person singular — of the verb "lambano," translated as "take [them]." In Greek these two words function together in a grammatical structure not present in English, called the circumstantial participle. Where English would put two main verbs in two independent clauses joined by a conjunction, i.e., "come and take," ancient Greek, which is abundant in participles, subordinates one to the other, a linguistic tactic called hypotactic: "coming, take," with the first action turned into an adjective. Thus in ancient Greek a nuance is provided not obvious in the English translation, making very clear that the coming must precede the taking (i.e., "having come, take"). In modern times, many generals and politicians to express an army's or nation's determination not to surrender have repeated the expression "Molon Labe." This motto is on the emblem of the Greek First Army Corps, and is also the motto of the United States Special Operations Command Central (SOCCENT). The term, "Come and take it," was a slogan used during the Texas Revolution. In America, both the original Greek phrase and its English translation are often heard from pro-Second Amendment defenders in defense of the right to keep and bear arms. It began to appear on websites in the late 1990s and early 2000s. It expresses the concept that one will not surrender their firearms to anyone, including the government, without strong resistance. Shotgun News was recently sent a SIG Sauer M1911 Spartan for test and evaluation. Chambered for America's favorite pistol cartridge, the .45 ACP, this is basically a so-called "Government Model" with a 5-inch barrel (127mm) with six grooves rifling with a 1:16 twist. The width at the grip panels is 1.4 inches (35.6mm) with an overall height of 5.5 inches (140mm) and a total length of 8.7 inches (221mm). The weight, with an empty magazine, is 41.6 ounces (1.18 kg). Both the slide and frame are machined from an unspecified stainless steel. The M1911 Spartan comes with truly unique oil rubbed bronze Nitron finish on both the slide and frame, with the slide featuring 24kt gold inlay engraving. SIG Sauer's Nitron finish is a thin layer of amorphous "DLC" that both creates a hard protective coating and enhances lubricity. "DLC," in turn, is the acronym for Diamond-Like Carbon. DLC thus has some of the properties of diamond. Although it appears smooth to the naked eye, DLC actually has the form of a microscopic cobblestone street. There are seven different forms of DLC. The various forms of DLC can be applied to almost any material that is compatible with a vacuum environment. In short, the principal desirable qualities of a Nitron finish are hardness, wear resistance and lubricity, or "slickness." The left side of the pistol's slide is roll marked "SIG SAUER 1911" and with "Molon Labe" engraved with 24kt gold inlay in the exact ancient Greek script as inscribed on the marble of the 1955 Leonidas Monument at Thermopylae. Both of the black Hogue grip panels feature the same script with an ancient Greek helmet. The grip panels are held to the frame by two 3/32-inch hex head screws, which are threaded into M1911-type frame bushings that can be replaced if the threads are damaged. SIG Sauer manufactures M1911 pistols with two different slide configurations. The so-called "SIG profile" found on this pistol has a larger radius on top of the slide and relief cuts on the sides. This contour provides a unique look that resembles SIG Sauer classic pistol models, such as the P226 and P220. The only downside to this slide geometry is the difficulty in finding holsters that can accommodate pistols with this configuration. What SIG Sauer refers to as a "traditional" slide is machined to the same slide radius as the original and vast majority of M1911 handguns. There are eight slanted cocking serrations on each side of the slide at the rear. The slide's ejection port has been lowered and flared — and the rear beveled — to enhance ejection reliability and protect empty cases from denting. Like the original M1911, this pistol uses a short recoil spring guide rod. SIG Sauer Model 1911 pistols feature so-called external extractors, about which there has been much foolish debate. One of the world's greatest pistols, the Browning Hi Power, was derived from John Browning's last pistol patent. Like his Model of 1911, it had an internal extractor. In 1962, the cost of manufacture was significantly reduced by changing the extractor to an external type that provided much more positive and reliable functioning. There is absolutely no rational justification whatsoever to the illogical rage of so-called "M1911 traditionalists" over this feature. The low profile sights from Kensight — a division of KFS Industries, Inc. — have self-luminous, green night-sight inserts (.76-inch Trijicon), one on each side of the open square-notch rear sight with a recessed surface and one in the blade-type front sight. This tritium version of Kensight's DFS (Defensive Fixed Sight) is wire-EDM cut from a single block of 4140 steel. It features distinctive grasping grooves also wire-EDM cut into the sides of the sight. Tritium (an isotope of hydrogen) provides the energy source for self-luminous sights of this type. Tritium gas and a phosphor particle are pressurized within a tiny glass capsule. Tritium creates soft beta rays that are converted to visible light when they strike the phosphor particle. Because they are nuclear in nature tritium sights have a half-life that provides a useful life of about 10 years. The capsules are resistant to oil, water, corrosion and temperature changes. While it has been my experience that white dots or outlines are never noticed under stress, self-luminous tritium sights are useful adjuncts to firing at night or under subdued-light conditions. They are, however, no substitute for a flashlight, as they do not illuminate or aid in the identification of a target as a potential threat. Moving down to the frame, we find 25 LPI (Lines Per Inch) checkering on the front strap and 20 LPI checkering the black Nitron-finished, stainless steel mainspring housing at the rear. The beavertail-type steel grip safety has a pronounced bump on the bottom to insure that it is disconnected even if not depressed completely. It entirely cups the hammer to prevent "hammer bite" and permit as high a grip as possible. As the front strap has also been slightly relief-cut just under the rear portion of the trigger guard — a so-called "kidney cut" — the high grip permitted by these two features lowers the bore line in relation to the shooter's hand and reduces the perceived recoil somewhat. The pistol is equipped with a skeletonized so-called Commander-style hammer. The thumb safety, which is not ambidextrous, has a slightly extended, serrated face. The Nitron-coated, aluminum alloy, skeletonized trigger has a vertically serrated face and can be adjusted for overtravel and takeup. It breaks cleanly and without any trace of creep with a pull weight of exactly 3.75 pounds. The trigger has a stainless steel bow. The magazine well has been beveled to ease insertion of magazines, which should always be done with the operator's eyes downrange on the anticipated threat. In addition, an extended magazine well "speed chute" has been attached. Held by a single hex screw, it can be removed if desired. The checkered steel magazine catch is slightly higher than usual to offer access by the thumb without altering the firing grip, but not long enough to induce an accidental release. The SIG Sauer M1911 Spartan comes with two eight-round, single-column, detachable box magazines. The polished stainless steel body has seven indicator holes on each side. Both sides are numbered "2," "3," "4," "5," "6," "7" and "8." The follower is steel with a black finish. The extended, black polymer floorplate can be easily removed and magazines should be completely disassembled every time the pistol is cleaned. The manufacturer's suggested retail price complete with two eight-round magazines, lockable plastic storage case, trigger lock and instruction manual is $1,356. However, be advised that this is a limited production model and it has been selling briskly. I find it to be more than a little ironic to be writing about a handgun dedicated to the Second Amendment during the time of the Sandy Hook school massacre. While this horrific act was committed by an obviously mentally deranged young man, the anticipated response of a substantial number of Democratic Party politicians and the mainstream media will once again be an attempt to ban large capacity magazines and so-called "assault guns" without addressing the real problem, mental illness. Our test and evaluation of the M1911 Spartan was conducted using ammunition provided by Hornady. We used Hornady's TAP (Tactical Application Police) — both the 230-grain JHP (Jacketed Hollow Point) TAP FPD (For Personal Defense) load and the 200-grain JHP/XTP load. Muzzle velocity of the 230-grain bullet is 950 fps and this is +P ammunition. Muzzle velocity of the 200-grain projectile is 900 fps. Both of these bullets will penetrate approximately 13 inches in a proper tissue simulant. Hornady uses a 10-percent solution of ordnance gelatin (Type 250 A) as originally formulated at the US Army's Wound Ballistics Lab, Presidio of San Francisco. This reproduces the penetration depth measured in living-swine leg muscle when used at 39 degrees Fahrenheit (4 degrees Celsius). Penetration is, without doubt, the most important single parameter in measuring the wound ballistics performance of small arms ammunition. The bullet must penetrate deeply enough to crush, cut and break through the human body's vital structures and organs. The current consensus is that the capacity to penetrate up to 18 inches of soft tissue is desirable and that any bullet not capable of penetrating at least 12 inches is not acceptable. Once we've obtained the required penetration, the bullet that makes the biggest hole will do the most damage. And that, plain and simple, is the reason I carry a .45 ACP caliber pistol every day. More and more armed professions agree and pistols in this caliber remain in great demand in Afghanistan among Coalition forces. I also prefer the 230-grain hollow point as it makes the biggest hole. Our test and evaluation of the M1911 Spartan resulted in no surprises. I have fired several hundred rounds through this pistol. There have been no malfunctions of any kind. At 7 yards, the distance under which the majority of gunfights with a handgun take place, and firing offhand from a strong Weaver position, the SIG Sauer M1911 Spartan will place all rounds into a 1.5-inch group. That's more than good enough for government work. Be advised that due to its unique slide configuration, the majority of holsters designed for so-called Government-Model-size M1911 pistols cannot be used with this or many other models in the SIG Sauer M1911 series. I selected two holsters from Galco International that they catalog specifically for SIG Sauer M1911 handguns. As my regular readers surely know, I have been stuffing handguns in Galco holsters for more than a quarter century and so have a substantial number of law enforcement personnel throughout the world. The most abbreviated strip of cowhide you can stuff an M1911 into is without doubt the Yaqui Slide model. It was one of Jeff Cooper's favorites. This minimalist design combined with its almost vertical carry angle results in an exceptional fast drawstroke. The belt channel on this holster has an oval-shaped cutout that permits securing the holster on a pant belt loop to inhibit shifting of the holster. Many holster makers feature Yaqui slide-type holsters. However, in 1992 Galco took the concept an important step farther, when they added a set of independent tension screw adjustments for a custom fit and micro-adjustment of the drawstroke. I chose tan (also available in black) for this and several other Galco holsters for no other reason than purposes of photography, as it blends nicely with the bronze Nitron finish of the M1911 Spartan. Built from premium-grade saddle leather, the open-muzzle Yaqui Slide will accommodate a substantial number of M1911 models and sizes. It sells for only $64.95. Galco also catalogs their popular Fletch High Ride Belt Holster for SIG Sauer's M1911-type pistols. Its unique two-piece construction is contoured on the body side to conform to the natural curvature of the hip, with all the consequent benefits of this type of design. It's the only holster with a thumb break retention strap that I will wear (outside of shoulder holsters), although this type of holster is mandatory with many law enforcement agencies. Hand-molded to fit specific handguns and with a slight muzzle-rearward cant, it has double-stitched seams, combat grip accessibility and a covered trigger guard. Available in either tan or black and either right- or left-handed, it costs $94.95. Unless you're on your way to a handgun course at Gunsite or Thunder Ranch or marching off to war, a single magazine pouch is sufficient for most concealed carry scenarios. Galco makes two exceptionally nice single magazine cases. The Concealable Magazine Carrier features an ambidextrous design and is constructed of premium saddle leather. The Concealable Magazine Carrier accommodates belts up to 1 3/4 inches in width and is available in tan, black or Havana brown. It costs $49.95. The other option is the Single Magazine Case, which has a one-way snap on back that fastens securely to the belt. This is an ambidextrous pouch, constructed of premium saddle leather with a tension screw for a custom fit. It will fit belts up to 1 3/4 inches in width and is available in a tan or black finish. It sells for $38.95. One of the most neglected components in a handgun carrying system is the belt. Armed professionals will often spend several hundreds of dollars on a hand-molded holster and then attach it to a $5 Chinese-made belt from Walmart. I believe in using as wide a belt as your pant loops will accommodate, especially so when carrying heavy, large-frame pistols like the M1911 Government Model. Wide leather gun belts distribute the weight of the handgun more evenly on the hip and significantly reduce fatigue when operators carry the weapon on a daily basis throughout the entire day. For that reason, whenever possible, I hold my pants up with a Galco SB2 1 1/2-inch belt in an appropriate color. This heavy, lined gun belt is made from premium-grade saddle leather and includes a solid brass buckle. It costs $82.95. I cannot tell you how many times I have watched the recoil spring and the recoil spring plug sail into the sunset when I was field stripping an M1911 pistol. This problem has been solved once and for all by the Perry Disassembly Tool designed and manufactured by Perry Competition, Inc. Simply insert the tool's rod into the barrel and align the tool with the barrel bushing. Press the tool down on the recoil spring plug and rotate the tool and the barrel bushing clockwise for approximately a quarter turn; all the while holding the tool firmly down toward the barrel during the rotation. Slowly pull the tool away and the recoil spring and recoil spring plug will come forward — under control — and can then be completely withdrawn from the pistol. Use the tool to rotate the barrel bushing counterclockwise to withdraw it from the slide. Use the tool again to reassembly the barrel bushing, recoil spring and recoil spring plug. You can also attach an assortment of cleaning tips to the tool's rod. The tool fits both commercial and military-style M1911 barrel bushings. It costs $30 plus $5 for shipping and handling. It's the best M1911 disassembly tool I have ever used. A new version of this amazing tool is now available. Just $5 more, the new model has a deeper counterbore to clear the barrel and you can select either end of the tool for an "officer" style or "commander" style barrel bushing, in addition to standard "Government Model" type bushings. We keep a Perry Disassembly Tool in our armorer's toolbox at all times. It has my highest possible recommendation.